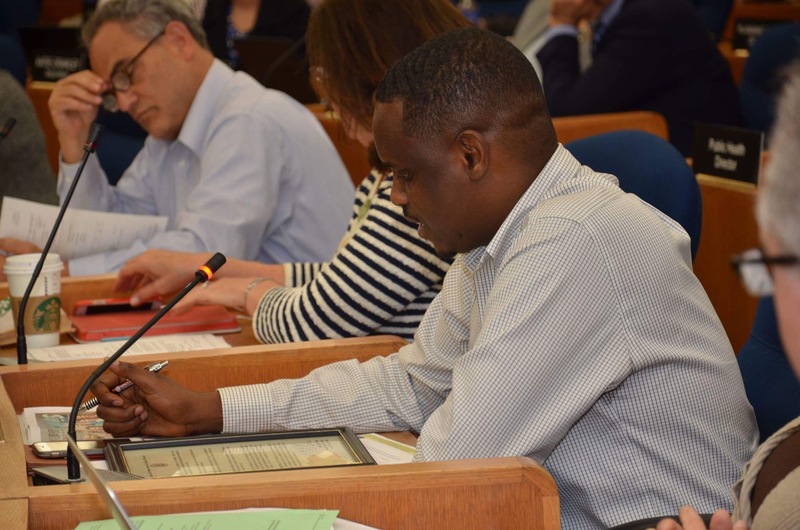 In April, 2015, after a long and hard fought campaign in which volunteers knocked on almost 4 thousand doors during a brutal Wisconsin winter, a Madison resident, of Gambian descent called Samba Baldeh was elected to the Madison Common Council. After the votes were tallied, Mr. Baldeh outpolled his rival, a long term incumbent by 32 votes to become Alderman for District 17 in the far north/east side of the city. He became the first African to ever do so in the history of the city. 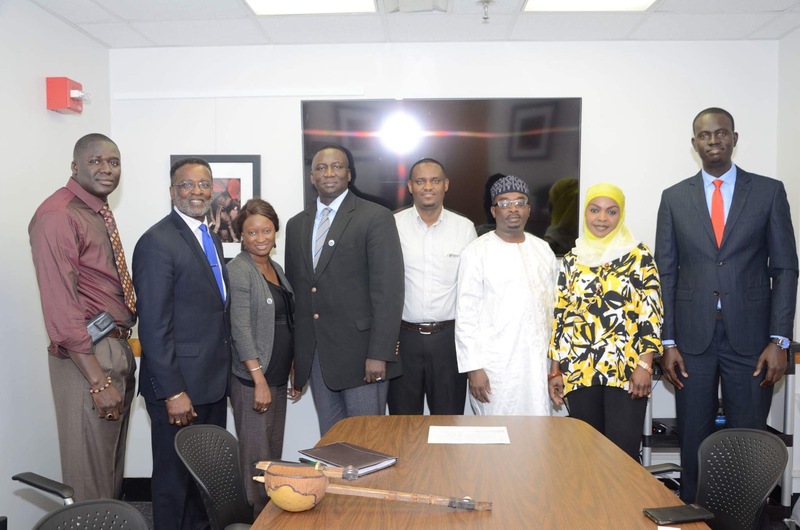 After his election, Alder Baldeh was appointed to several committees, including Madison’s Sister City Committee. This committee seeks to create and develop lasting friendships on the human level and to provide a forum for the exchange of ideas and views between peoples of different backgrounds and cultures. The city had 8 such relationships with other cities around the world but none in Africa. It didn’t take long before the new alderman with African heritage was summoned to a meeting by Mayor Paul Soglin to discuss the possibility of establishing a sister city partnership with a city on the African continent. No countries were specified. As his practice and belief are availing equal opportunity to all, his discussion and the intent of the mayor in this regard were posted and shared on the AAM (African Association of Madison) email distribution list. 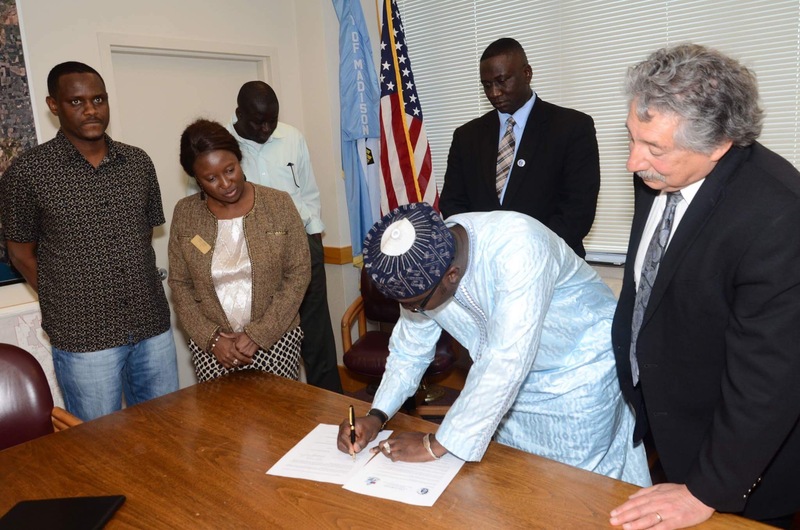 Jerreh Kujabi then contacted Alderman Baldeh and informed him about his intent to convene a committee to begin exploring the possibility of establishing a sister city relationship between the city of Madison and a city in The Gambia. No other responses were received from the listserv. A select group of dedicated individuals from within our local community were contacted and informed of this project. Not only were these individuals receptive of the idea but they also volunteered to serve on the exploratory committee. The original founding members can be found on our application packet (not included in this report). In late July of 2015, an informative meeting was held to which Ms. Jo Oyama Miller, chair-person of the Sister City Collaboration Committee, was invited. She enlightened the group about the City of Madison sister city program, the requirements, and the entire process of establishing such a partnership. Acting on the information obtained, the group developed a framework and deliberated on the selection of a city in The Gambia. Eventually, Kanifing Municipal Council was selected. After a series of meetings, the committee was formalized with Jerreh Kujabi as acting-chair. This committee would steer the agenda for the establishment of a formal sister city relationship between Madison and Kanifing.